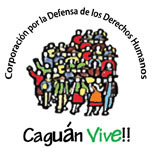 British NGO that campaigns for human rights, workers’ rights and the search for peace with social justice in Colombia. • "Encarcelamiento de Húber Ballesteros: Un intento más de silenciar e intimidar a Fensuagro y a la Marcha Patriótica"
The Justice for Colombia Peace Monitor delegation visited Colombia between 16 and 21 August to observe the state of implementation of the 2016 peace agreement and the broader human rights situation. The Peace Monitor previously visited Colombia in April 2018 and last week published its first report including a series of recommendations. Although we had hoped to meet with the new Colombian government, unfortunately we were not able to secure a meeting at this early stage of the administration. We visited the Training and Reincorporation Space (ETCR) at Las Filipinas in Arauca, where we heard testimony of the current conditions faced by former combatants as they seek to reincorporate into civil society. We also travelled to Tibú in Catatumbo, a region suffering from high levels of political violence and underdevelopment, where we met with the Catatumbo Peasant Farmers Association (ASCAMCAT), with the Police and the Army, as well as local communities representatives. It has been apparent throughout our delegation that many Colombians remain committed to the challenging task of implementing the Peace Agreement and consolidating a sustainable and lasting peace. We’ve heard about grassroots projects to implement the agreement in the regions most afflicted by poverty and violence. welcome the formation of the “Bancada por la Paz” opposition caucus, with the participation of the FARC members of Congress. •	The murders of social leaders and former combatants is extremely alarming. The Colombian authorities must make every effort to identify not only the actual killers but the intellectual authors of these crimes. The figures put to us are shocking: one human rights organisation told us that 148 social leaders have been murdered so far in 2018. We would encourage the security measures to be implemented as stipulated in the agreement. •	We visited Jesús Santrich in prison, where he has spent over four months despite a lack of presented evidence against him, and were concerned to observe that he has been in isolation and denied basic equipment which helps him manage his lack of sight. We are concerned that he has not been able to be sworn in as a Congressman. We note also that leading peace negotiator Iván Márquez has not taken his seat in the Senate due to fears for his legal security. The political participation of the FARC is a core element of the agreement and we believe it is fundamental to the process’ success. •	We have heard concerns of changes to the Special Jurisdiction for Peace. As members of the international community who have celebrated the ground breaking transitional justice agreement, we believe every effort must be made to ensure its implementation guarantees the rights of all victims. •	We know there have been delays in bringing forward legislation to implement the peace agreement and we are concerned that legislation should reflect the peace agreement. •	The reincorporation of former combatants has been very slow and has not yet provided the support or resources necessary to facilitate the transition to civil society. It is important they are guaranteed access to land to develop projects immediately. 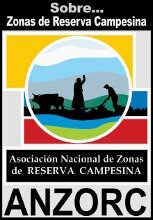 •	We saw in Catatumbo the underdevelopment afflicting large parts of rural Colombia. Poor roads make it difficult for communities to access healthcare, education and markets to sell their produce. There is very little internet coverage. Comprehensive rural development is a core element of the peace process, but so far implementation has been inadequate. We were also concerned to hear of the humanitarian crisis facing communities in the region as a result of ongoing conflict. •	We heard from coca farmers their views that voluntary crop substitution programmes have not been implemented as the peace agreement stipulates. Organisations working to push through these programmes, such as COCCAM, have seen more than 30 members murdered. We would urge the state to implement the programme as agreed. •	We hope that the process with the ELN continues and that an agreement can be reached. hope that the new government will continue the previous administration’s work towards building peace. We would like to pay tribute to everyone we met and to thank them for their hospitality. Finally, our delegation expresses its total commitment to working in whatever possible way to help Colombia establish a genuine and lasting peace with social justice.